Pacific Performance Engineering (PPE) is leading the way in electronic high performance diesel technologies for Chevy, Ford and Dodge. Founded in 1985 as a Diesel performance facility they quickly found new ways to improve upon the factory platforms. As technology increased, so did their need to explore other options of developing power. In 2001 they brought the Duramaximizer to the market. This product was a first and it is still used today to make the fuel system more efficient on the Duramax Diesel LB7. We quickly learned that efficiency of the engine could be increased by raising the fuel rail pressure and increasing the pulse width and rate. 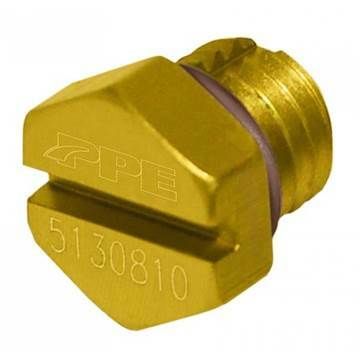 Today there are many corporations experimenting with the benefits of increased fuel pressure. So far the results have been very beneficial and include increased power, mileage, reliability, lower exhaust gas temperatures, and overall efficiency. It has always been at the top of PPE's agenda to supply power and torque, and to do so in a way that enhances the OEM operations rather than hinder the natural operations of the vehicle. They achieve these goals by staying within OEM tolerances and also by utilizing the very best in electronic materials available. After several decades, PPE is still recognized as a leader in Diesel Performance and has been developing new power enhancements for the Duramax LLY platform. We also have innovated products for both the Ford Power Stroke and Dodge Cummins. They did not stop with just one great product; their continued pursuit into the world of diesel performance has enabled them to develop more horsepower and torque through their continued engineering developments. The most effective means of gathering more horsepower and torque comes by altering the factory computer software. Not only do they develop a lot of power, but they also offer customers the features that they find most beneficial. For instance their Xcelerator allows people to make corrections for tire sizes, gear changes, rev limiters, and top speed governors. Today there are many possibilities in the world of diesel performance. General Motors, Ford and Dodge have all taken steps to develop strong reliable diesel engines, and their improvements are highly noted. However, PPE develops power, performance, fuel mileage, and modern conveniences that will satisfy and keep your diesel truck running great for years to come. 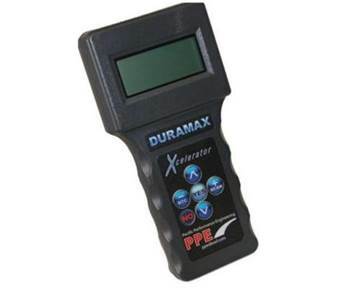 All of PPE's products are thoroughly tested on a state-of-the-art Mustang Dynamometer, but it does not stop there, they also test at the race track, Death Valley, and the Rocky Mountains. 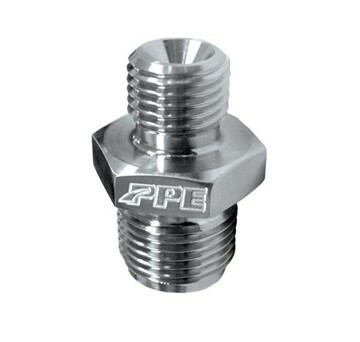 Increase your turbo boost pressure to approximately 28-30psi with a quick 5 minute installation of PPE's boost increase valve for your 2001 - 2004 GMC Duramax LB7 truck. Replace the problematic OEM plastic air bleeder screw with a brand new direct-fit aluminium screws for your 2001 - 2010 GM 6.6L Duramax LB7/LLY/LBZ/LMM truck. 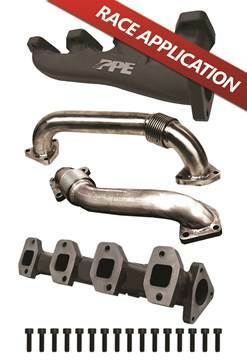 Maximize power and flow with PPE's manifold and up-pipes for your 2001 - 2016 GMC/Chevy Duramax 6.6L LB7, LLY, LBZ, LMM and LML motor that is fitted with a single turbo. Gain up to a mind blowing 425HP and approximately 620 lbs-ft of torque with the PPE Xcelerator HOT+2 power programmer for your 2001 - 2007 GMC/Chevy Duramax 6.6L LB7/LLY/LBZ. 6 different tunes which range from 40-425HP. 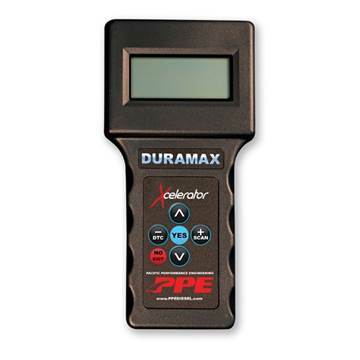 Gain up to an additional 40, 90, or 120hp and approximately 200 lbs-ft of torque with this PPE Xcelerator Economy handheld programmer for your 2001 - 2010 GM 6.6L Duramax LB7, LLY, LBZ and LMM truck. Gain an extra 40HP and 225 lbs-ft of torque with the PPE Xcelerator tuner kit for your 2001 - 2010 GM 6.6L Duramax LB7, LLY, LBZ and LMM engine. Designed for off-road applications only. 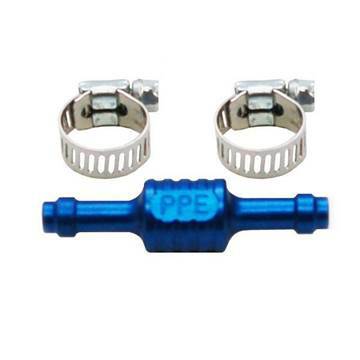 Reduce fuel pressure drops that are caused by the restrictive OEM fuel rail fitting on your 2004.5-2010 GMC Chevy Duramax 6.6L diesel with the LLY, LBZ, and LMM engine with PPE's ported fuel rail fitting. 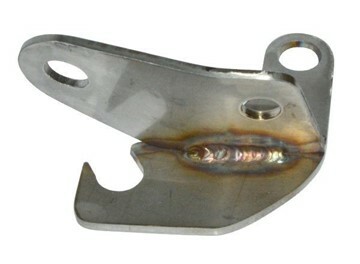 2001-2015 GMC Chevy Duramax 6.6L LB7/LLY/LBZ/LMM/LML - If you have PPE Manifolds and Up-Pipes, this bracket (stay) secures your PPE Down-Pipe and prevents movement.